Maximize your Stages Cycling Power Meter performance. 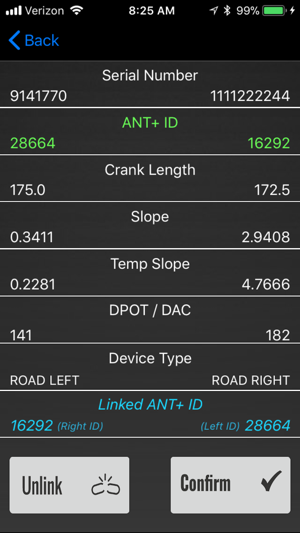 Utilize the app to quickly display power and cadence values, perform a zero calibration to ensure accurate measurements, update the firmware with the latest features and functionality, and set up left/right capabilities for compatible power meters. 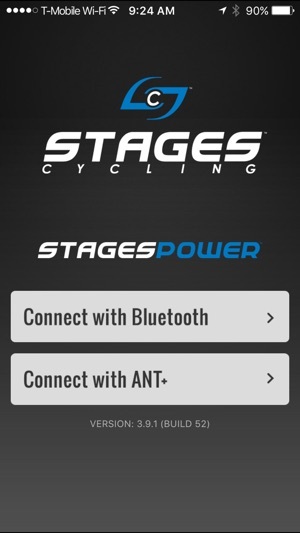 The Stages APP needs a functionality update to make it really useful in a Spin class. 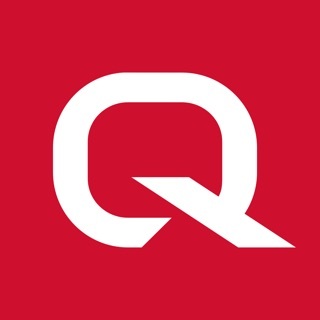 Try to connect Bluetooth in a spin room and you are presented with ALL the bikes being used with no way to identify or differentiate your bike from a neighbor bike or any bike in the room being used. So it’s a hit and miss experiment to figure out your bike for this session only, and then if you do connect to your bike, you get limited information: Revs and Watts and not much more. It would be nice if the APP could mirror to some extent the Console on the Spin Bike. The other areas needing improvement include capturing the data, saving it to you smartphone, and all the analysis that might provide. 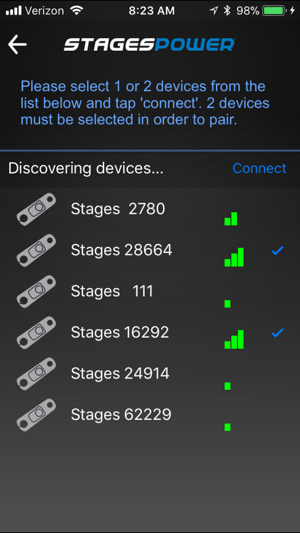 I suppose if you have one bike with the Power Meter, this is a decent start on connecting, and managing firmware updates but it is limited with its functionality. Looking forward to next Stages APP update. On a side note, the Stages Spin bikes are one of the best and a personal favorite among many I have ever used in over 10 years of spinning. 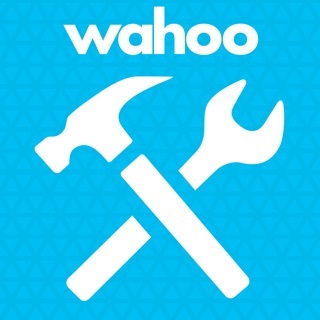 This app is not very useful. It merely displays a few pieces of info from that are ALREADY displayed by the computer on the spin bike. Not sure why I would need the same info displayed twice (i.e. Once on phone, other on bike computer). My biggest disappointment is that you can't store the info from your ride and take it with you. I would love to be able to save ALL the ride info with me when the class is finished.... total distance, avg RPM, avg power, total power..... And a nice bonus would be incorporation of heart rate info into a saved data file. This is my first power meter and so far it has been great. 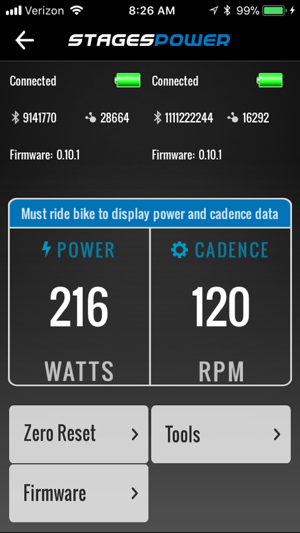 I have typically been using it with my Garmin 920 but with this app it will give me my power and cadence. Workts great no problems connecting to my meter. It had no issues when updating my firmware or calibrating the zero ofset, which is the main reason that I downloaded the app.